Looking For Coach Hire in Heathrow? 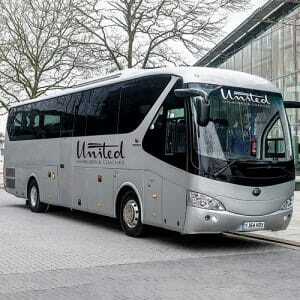 Are you looking for affordable and reliable coach hire in Heathrow? 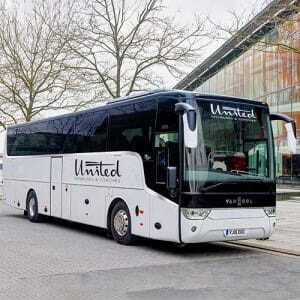 Then make United Minibuses and Coaches your first port of call. We’re here to get your holiday off to the right start with our minibus hire in Heathrowservice. Our vehicles are modern and luxurious and with a supplied driver included within your hire cost, you’ll be able to enjoy a stress-free transport experience around the Heathrow area. 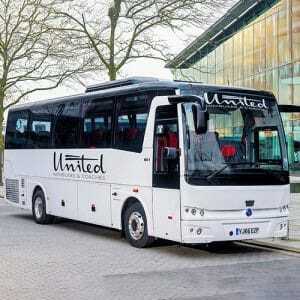 Why Use United Minibuses and Coaches? Heading off on holiday can be a stressful time. There’s a lot to think about and arrange, and the last thing you need is to have to worry about how you’re going to get to the airport in time. With airport parking being so expensive and the roads to Heathrow airport being so crowded, driving to catch your flight isn’t the best choice for anyone. 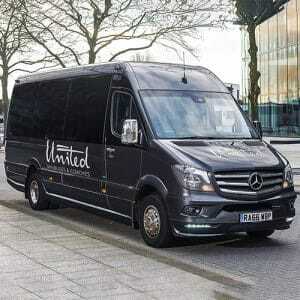 Luckily, United Minibuses and Coaches is on hand with a high-quality minibus hire in Heathrowservice. You’ll never have to worry about catching your flight and you’ll get your trip off to the most relaxing possible start when you put your transportation into our capable hands. Our luxury vehicle fleet is at your disposal, and since we have minibuses and coaches available that seat up to 57 passengers, there’s plenty of room for everyone in your party. All our vehicles are well equipped with state-of the art entertainment options including DVD and CD players and with CCTV and seatbelts on board, you’ll be completely safe throughout your journey. Coming back from your holiday needn’t be stressful. When you want to get home with minimal fuss after a long, tiring flight, you can rely on our minibus pick up from Heathrowservice to be there when you need us. Our minibuses boast comfortable leather seats, reading lights and arm rests so you can carry on that holiday feeling all the way to your front door. There are lots of things to see and do around the Heathrow area, so if you want to travel a little further afield than the airport, United Minibuses and Coaches can help you discover the best attractions in the local region. Here are just some of the top things to discover around Heathrow. Windsor Castle– scene of Royal weddings and years of fascinating history, this ancient castle is a popular tourist spot within easy reach of Heathrow. Ascot Racecourse – everyone has heard of Ascot, and whether you’re heading to Ladies Day or just a regular race day, you’ll find it a fun-filled experience, whether you’re betting or just enjoying the atmosphere. Legoland Windsor– if you’re taking the family on an exciting day out, this theme park based on every child’s favourite construction toy is the perfect choice. With rides and shows for all the family, this is a top local spot. Twickenham Stadium– if you’re a rugby fan, the Twickenham stadium is a must-visit attraction. Home to England’s home test internationals and Six Nations matches, this attraction is also home to a World Rugby Museum, packed with memorabilia. 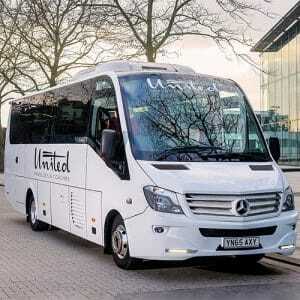 Discover Heathrow and its surrounding area in a stress-free, convenient way when you opt for coach or minibus hire with United Minibuses and Coaches. We make travelling as comfortable and safe as possible thanks to our modern fleet of fully equipped vehicles, so whether you’re travelling with family or friends, you’re sure to find our coach hire in Heathrowservice the perfect option for your travel and transport in the local area.